Steven Spielberg. Tom Hanks. These are names that bring about thoughts of excellence and experience. These are two veterans in the film industry, who have made some of the greatest films ever, both individually and together. So when you hear that these two are reuniting for a Cold War period piece thriller, you can't help but be excited. And I was very excited for Bridge of Spies. From the very early stages, I thought this film could be a serious Oscar contender. I was also shocked that more people weren't talking and buzzing about this film. But, after seeing the film, I can see why. 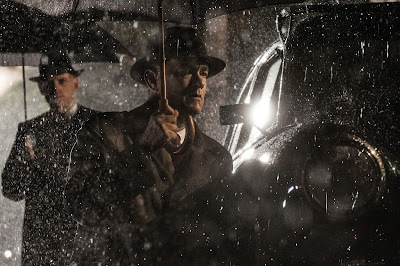 Bridge of Spies may be made by Steven Spielberg, but it sure as hell doesn't feel like it. The film tells the true story of James B. Donovan (Hanks), an American lawyer who is tasked with defending a Russian spy, Rudolf Abel (Mark Rylance). But once Russia has two Americans imprisoned, Donovan must travel to the communist country in order to negotiate a trade between the two divided nations. Bridge of Spies has a fascinating concept. By our own Constitution, everyone has the right to a fair trial. But in times of crisis, people will throw laws out the window. We see it play out in the film: people would rather ignore the foundation that America is built on in order to gain some minimalist advantage in the Cold War. And it takes a strong and willful man to stand up to a majority's view in order to do what is right. Hanks may not give a fantastic performance per say, but he certainly plays strong and willful well. You don't just see him as Tom Hanks; he fits into his character's skin. However, this is a film that had a fantastic concept, but was lost in the execution. The movie lost me when Donovan traveled to Russia. The story's strongest point is the trial of this Russian spy, and that is what Bridge of Spies should have solely been. Past that point, the movie loses interest and becomes one of the worst things a film can be: boring. This is a long, drawn-out and frankly boring movie. It does have some good parts and elements, but it's half-realized. It is certainly not worthy of the name of Steven Spielberg. He has a unique style, and none of it was present in this movie. It feels like he sleep-walked through filming this, because there is no sign at all of the liveliness or energy present in movies like Jurassic Park, E.T. or Indiana Jones. This film doesn't have Spielberg's flare. Other than a select few excellent and gorgeous camera shots, there is nothing to make it feel like a Spielberg movie. 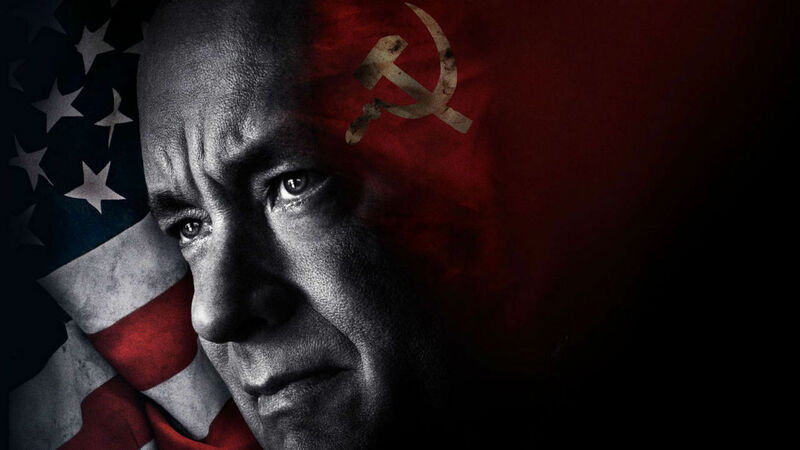 Overall, Bridge of Spies is a big disappointment. It has a fantastic concept for the first third of the film, with a very relevant and thought-provoking dilemma. Tom Hanks does a good job in leading the movie. However, the movie is bloated by two-thirds of empty nothingness, that amounts to a cliched and predictable ending. The stakes are lost, because frankly the audience stops caring. Spielberg drops the ball in what could have been a fascinating character study, but ultimately results in a boring and forgettable film. What do you think? 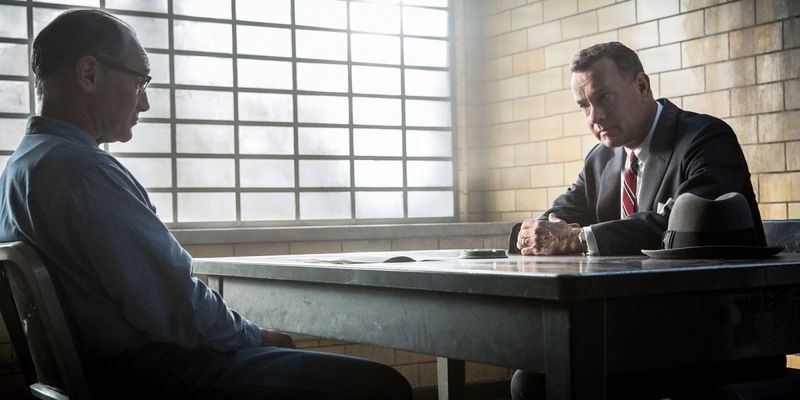 Have you seen Bridge of Spies? Did you like it? Leave your (spoiler-free) thoughts in the comments section below.